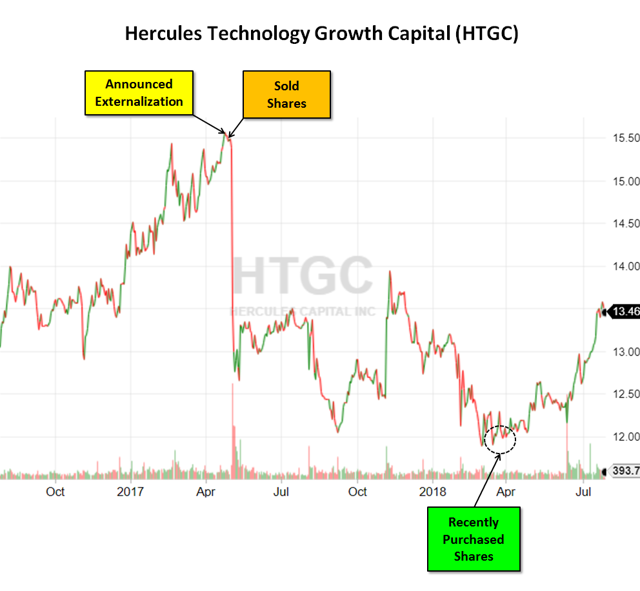 HTGC has recently announced plenty of good news and will likely be reporting strong results for Q3 and Q4 2018. In Q2 2018, NAV per share will likely increase by around 3% to 4% due to accretive share issuances, net realized/unrealized gains in companies including DocuSign, ForeScout, FanDuel and Tricida. However, I am not expecting HTGC to fully cover its dividend in Q2 2018 due to additional shares from the recent equity offering and higher prepayments in Q1 2018. Over the coming quarters, the company will easily cover its dividend due to the impacts from rising LIBOR, recently announced portfolio growth and lower amounts of prepayments in Q2 2018. HTGC currently pays a quarterly dividend of $0.31 per share that will likely be increased as its portfolio grows given its scalable internally managed cost structure and access to SBA leverage.